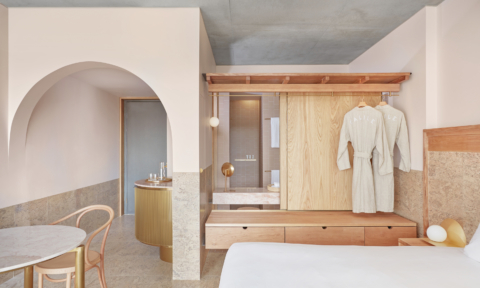 The face of your home, the façade, is generated by a mix of colours, materials and textures and sets the scene for your interior selections to follow. 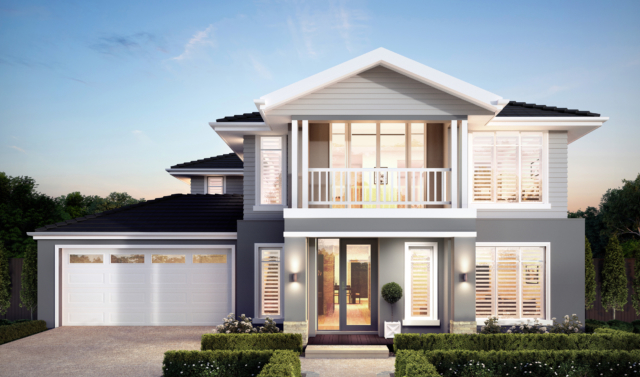 But nailing the perfect entrance is a hard act to pull off – particularly when you’re building a brand new home. With so many design choices to make, the decision can become quite overwhelming. 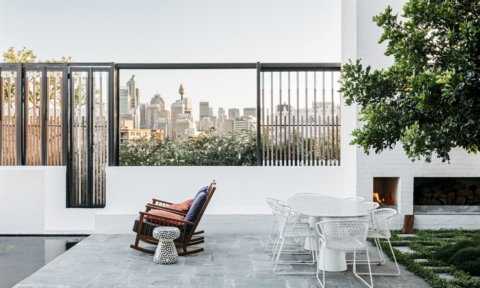 To help guide your decision-making process, we chatted to Henley Design colour consultant Cassandra Lynch about her favourite contemporary facades and her tips on how to create a beautiful street presence. When you’re driving down a street and you’re looking for an address, you might just miss the finer details of what makes the home beautiful from the outside. 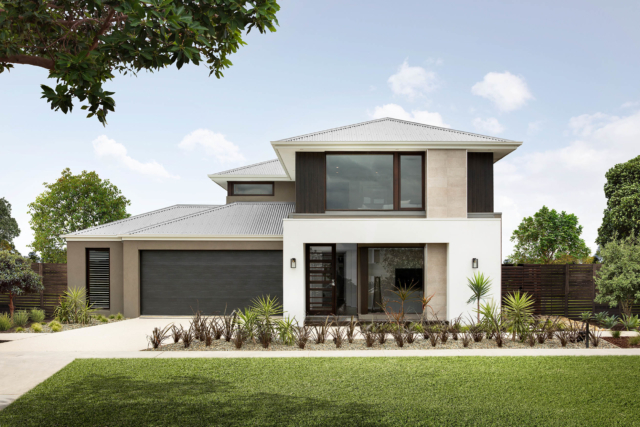 To create your ideal facade, it’s important to find the right balance of style and impact. 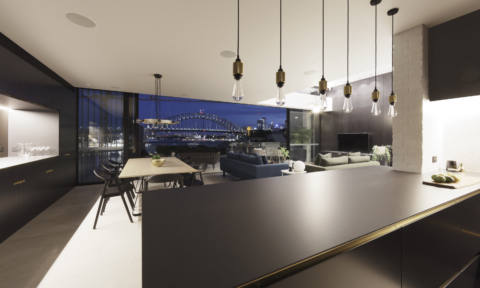 Selecting the perfect colour scheme is often a balancing act, and with facades, the formula can be a matter of less is best according to Cassandra. 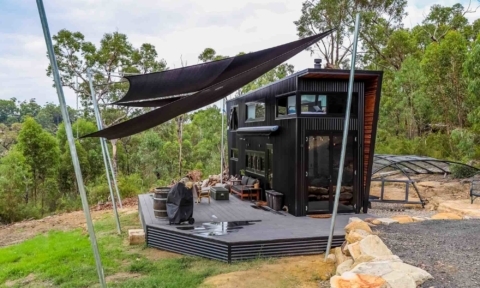 “Grey, black, brick and Colorbond cladding are some of the most popular façade inclusions, as well as James Hardie fibre cement sheets, with texture and timber also featuring as highlights,” she adds. 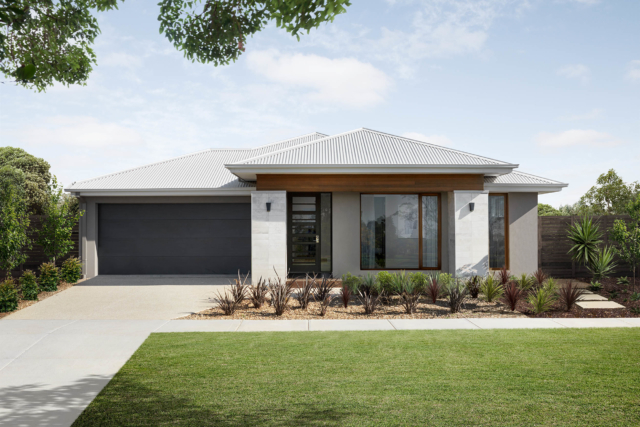 “Monochromatic colour schemes using a combination of dark grey bricks and contrasting white/light grey renders and matt finish Colorbond roof in either Monument or Surfmist and Aluminum black windows are the colour combinations which people are currently loving,” says Cassandra. 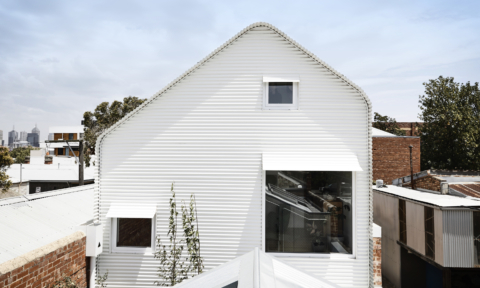 Choose a façade to complement the area your house is being built. 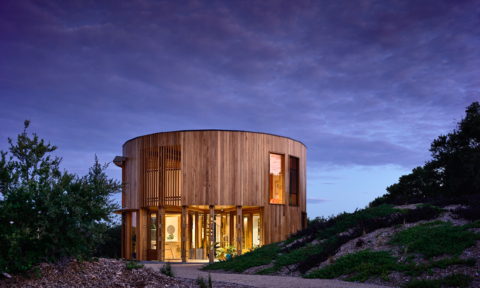 For example, choose a neutral coastal façade if building near the beach. 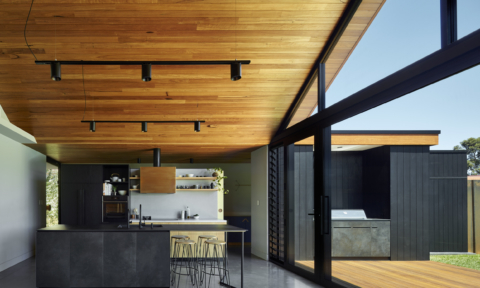 Utilising cement cladding over natural timbers if you live near the coast is a great idea as the salty sea air will ruin any timber and will be a pain to maintain in the longterm. Take inspiration from your design style. If you are drawn to more traditional or Victorian style furniture with antique furniture, perhaps go for a more traditional façade with decorative mouldings. 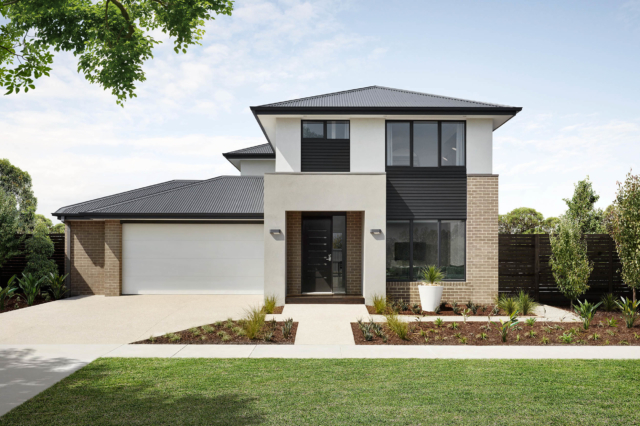 If you love modern architecture, straight lines and monochromatic colours, choose a modern façade. If building in a new estate, always check the developers design guidelines before falling in love with any specific colours or finishes. 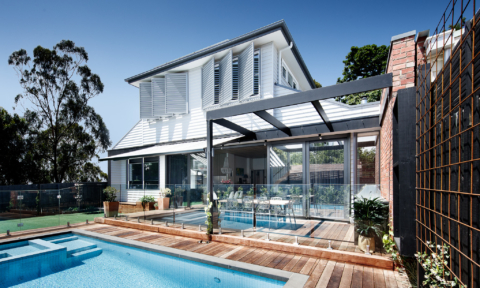 The expert team at Henley Design can guide you through the array of exterior choices. Henley also has a handy visualiser tool to help make the selection process easier. Head on over to the Henley Design page for more inspiration and to make an appointment with the Henley Design experts. 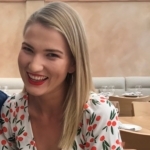 Phoebe Bates is our editorial intern as part of her Law/Media & Journalism degree at UNSW. 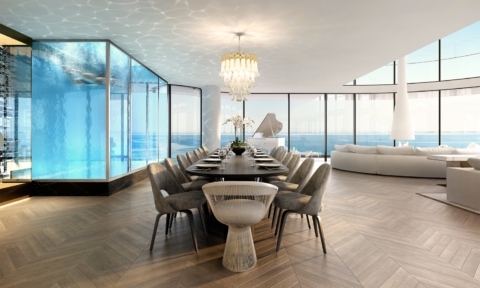 Step inside St Kilda’s $30 million dollar penthouse!